At Stability Pilates and Physical Therapy, we want your physical therapy experience to be an enjoyable one, and just the first step of your journey to fitness at Stability. Your first appointment will include a one hour evaluation and treatment by a licensed physical therapist to determine the specific needs and deficits of your particular injury. Your physical therapist will develop a treatment plan that incorporates all of the appropriate treatment modalities, including exercise prescription, pain relief therapies, hands-on manual therapy, and education to help you recover and avoid a repeat of your injury. 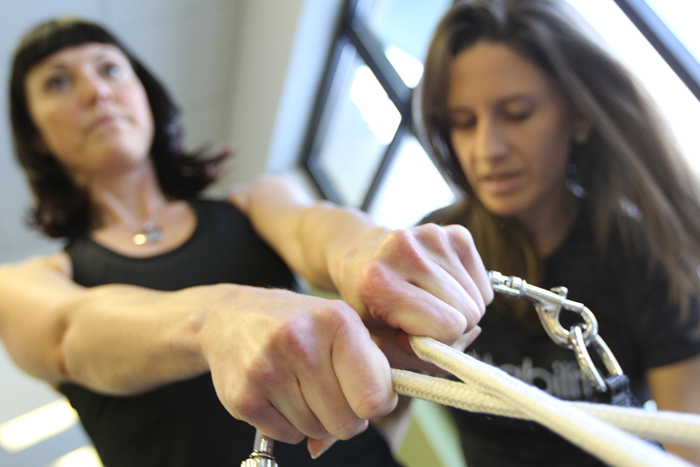 The benefit of being treated at Stability is that all sessions are one-on-one with your clinician. This allows you to have the complete attention of your therapist during treatment without competing with several other patients for the therapist’s attention and time, as is typical at most other outpatient physical therapy clinics. This approach allows you to maximize your physical therapy experience, ultimately resulting in a faster recovery. Our aim is to provide you with total care and return you to your activities and enjoyment of life as soon as possible. Thus, whenever possible, we will act as a liaison with your primary care physician, your medical specialists, and other healthcare members throughout your rehabilitation program. In order to provide you a one-on-one experience, atypical in most other physical therapy clinics, we require payment at the time of service. Stability Pilates and Physical Therapy will file insurance claims on your behalf for physical therapy services as an out-of-network provider. Typical insurance companies will reimburse you approximately 60-80% of your daily visit charges. Stability has only the highest-quality licensed professionals, all of whom are eager to help you recover quickly, so that you can continue to live an active and fulfilling lifestyle. Want to learn more about our services? Ask us here!